Best-selling author Lissa Coffey is a lifestyle expert and relationship expert who serves up piping hot Lifestyle and relationship advice! She is a refreshing radio and TV guest known for her inspiring blend of ancient wisdom and modern style. She also hosts various TV shows and media tours. Lissa is also the founder of Coffey Talk, a media company dedicated to lifestyle, relationships, purpose, and wellbeing. 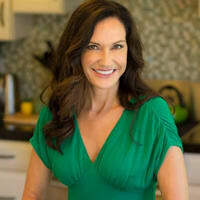 Additionally, Lissa is the world renowned authority on Ayurveda and Relationships. She is certified as an Ayurveda Wellness Consultant and received the Dharma Award from AAPNA for her Excellence in Promoting Awareness of Ayurveda. Lissa has written a best-selling book What’s Your Dosha, Baby? Discover the Vedic Way for Compatibility in Life and Love, which is currently the only book published that explores Ayurveda and Relationships. Is has been broadly distributed and translated into five languages. In all, she has authored ten books, her most recent of which is Bhakti: 108 Prayers of Devotion.